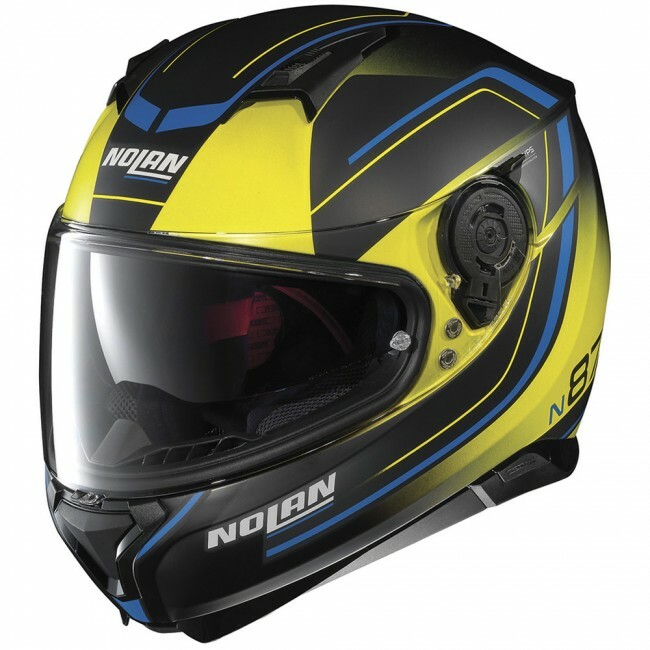 This is Nolan’s top of the range road full-face helmet. It is characterised by a sporty yet elegant design, rich with technical characteristics and a wide range of colours and graphics. Its compact size (thanks to the availability of two outer shell sizes), ultrawide visor, innovative tilting-functionality visor mechanism, VPS sunscreen (which can be adjusted to various positions), AirBooster Technology upper ventilation system, double lever Microlock2 retention system with micrometric adjustment, innovative Clima Comfort inner padding (with micro-perforated fabrics) and set up for the N-Com communication system make the N87 an already very-much-appreciated product among the most demanding of motorbike tourists. This has been confirmed its victory - one of many - at the MCN AWARDS as “best product of the year”.